Willowood Lambda-Cy 1EC is a broad spectrum insecticide that delivers control of primary and secondary insect pests on a wide variety of crops including cole crops, lettuce, corn, cotton, peanuts, rice, soybeans, tomatoes and wheat. 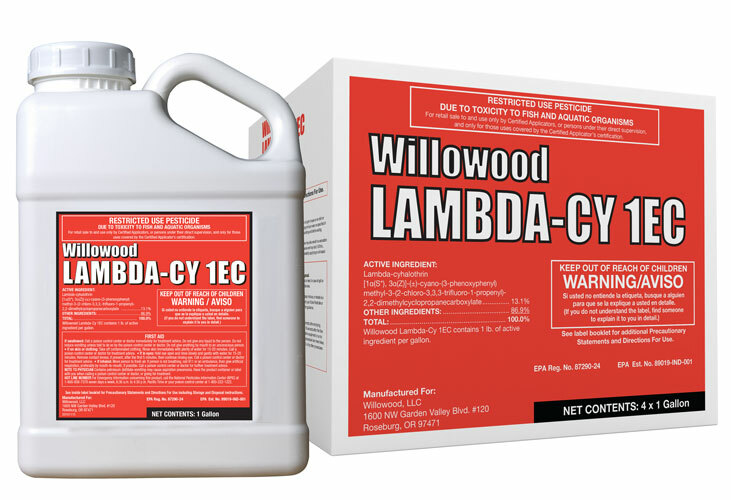 Willowood Lambda-Cy 1EC is fast acting, provides outstanding performance, excellent residual activity, flexibility and value. This product contains 1.0 lbs. of active ingredient per gallon. WARRIOR® is a registered trademark of Syngenta Group Company.